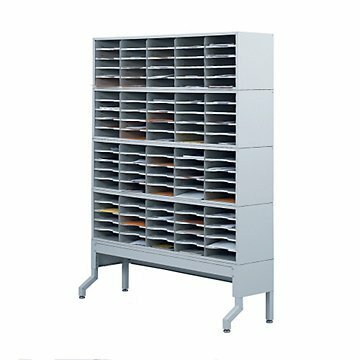 Ideal for separating out mail, this set of four mailroom sorters and base will help you stay organized. From a teacher's lounge to an fast-paced business, employees and staff can easily get access to memos, mail and notices. Alternatively, use it as a great way to keep forms, literature and other resources on hand and readily available.